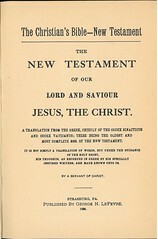 Click here for sample verses from the version by George N. LeFevre. 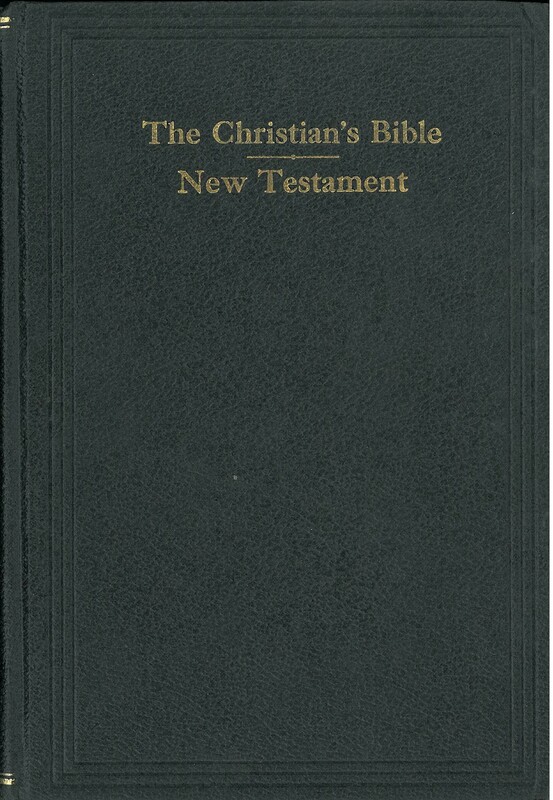 Title: The Christian's Bible - New Testament. 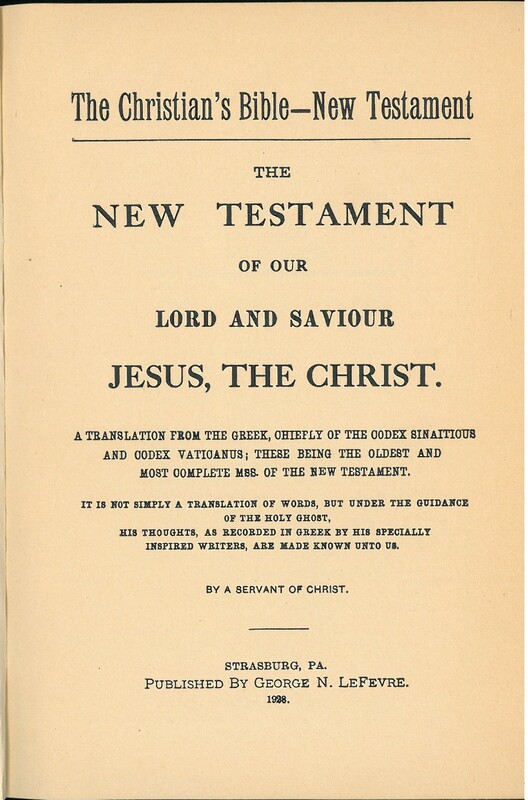 The New Testament of our Lord and Saviour Jesus, the Christ. A Translation from the Greek, chiefly of the Codex Sinaiticus and Codex Vaticanus; these being the oldest and most complete Mss. 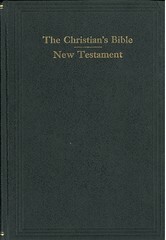 Of the New Testament. It is not simply a translation of words, but under the guidance of the Holy Ghost, His Thoughts, as recorded in Greek by His specially inspired writes, are made known to us. By a Servant of Christ. Strasburg, Pa. Published by George N. LeFevre. 1928. Comments: Chamberlain notes that based on a survey of 132 copies, 10% were dated 1928 and the other 90% were dated 1929. Chamberlain says only 500 copies were printed.